By: Richard Ellis Preston Jr.
A mysterious incident in Russia, a blip buried in the news - it’s the only warning humanity receives that civilization will soon be destroyed by a single, voracious virus that creates monsters of men. A lawyer, still grieving over the death of his young wife, begins to write as a form of therapy. But he never expected that his anonymous blog and journal would ultimately record humanity’s last days. Governments scramble to stop the zombie virus, people panic, so-called Safe Havens are established, the world erupts into chaos; soon it’s every man, woman, and child for themselves. AD 2457. The longest space voyage in history has begun: 230 light years from a ravaged Earth to the pristine star system of New Eden - a beacon of hope following the Doom Star days. Aboard the ship are human colonizers, the Space Navy, fierce “Monitors” once bred to fight Cyborgs, and four “Specials” - humans with psionic abilities, capable of ripping holes in space to jump vast distances. Charlie and the Misfits have been invited to join the closed beta of the new space-themed VRMMO, Star Nova Online. Together with hundreds of other test pilots, they hope to defend Earth from destruction. The Roth - a lizard-like warrior race - has nearly wiped humanity from the face of the universe and are on the way to finish the job. The test pilots have just seven days to train and prepare themselves. Even for a charismatic pirate, three years is a long time to chase after an unimaginable treasure hidden in the ruins of an ancient city. But when the fabled riches turn out to be virtually worthless, the outraged crew mutinies and leaves their former captain for dead. He is rescued by a mysterious king and transported back to a time of dwarves, druids, and fairies. Enchanting as it is, though, his only wish is to return home and find justice - but only the king has the power to return him...for a price. In a postapocalyptic world of endless snow, Captain Romulus Buckle and the stalwart crew of the Pneumatic Zeppelin must embark on a perilous mission to rescue their kidnapped leader, Balthazar Crankshaft, from the impenetrable City of the Founders. Steaming over a territory once known as Southern California — before it was devastated in the alien war — Buckle navigates his massive airship through skies infested with enemy war zeppelins and ravenous alien beasties in this swashbuckling and high-octane steampunk adventure. Life is desperate in the Snow World, and death is quick. Buckle and his ship’s company must brave poisoned wastelands of Noxious Mustard and do battle with forgewalkers, steampipers, and armored locomotives as they plunge from the skies into the underground prison warrens of the fortress city. Captain Romulus Buckle must lead the Pneumatic Zeppelin and its crew of ne’er-do-wells on a desperate mission where he must risk everything to save Balthazar and attempt to prevent a catastrophic war that could wipe out all that is left of civilization and the entire human race. ©2013 Richard Ellis Preston Jr. (P)2013 Brilliance Audio, Inc. The Romulus Buckle series is an exuberant, swashbuckling tale of a dystopian future set in Los Angeles and populated with a great cast of over the top characters. The story is packed with non-stop action and adventure and really sets a great bar for inventive steampunk romance. Romulus Buckle is the young captain of the Pneumatic Zeppelin - part of the fleet of his father's clan, the Crankshafts. When the leader of the clan (and Romulus' adoptive father) is kidnapped, the Buckle and his Zeppelin will travel across the Los Angeles landscape, fight prehistoric monsters, clan armies, and more - all the while assisted by his capable crew. I really enjoyed this book - it's a book that has a strong enough plot, great world building, and all the adventure you'd expect from a pirate type adventure. There are even moments of amusement and humor thrown in at some of the situations in which Buckle finds himself. Add in Martians, Los Angeles ruined and under snow, and some inventive steampunking (where steampunk IS intrinsic to the plot and not set dressing) and you have a great read. Los Angeles natives will especially appreciate this book and its ruined Southern California locations. 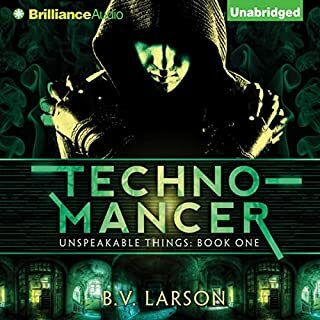 I listened to the Audible version of this book and it was just a bit too over the top, though I appreciated all the characterization the narrator put into the reading. In all, this is a gem in the steampunk or dystopian genre. Move Along To Better Works In The Genre. Sometimes, no matter how you try, you can't get into an audiobook. It can be the premise. In this case, I LOVE the premise. Sometimes, it can be the delivery. In this case, Daniels is passable. 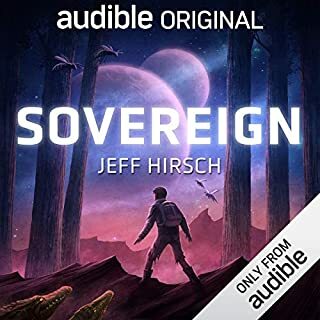 So, why did I have so much trouble with this audiobook, starting it over numerous times to make sure I was hearing it correctly, re-evaluating the plots and the "believability" of the work? Let's figure this out by looking at what good writing does for the reader or listener. Good writing takes us on a journey that must, by the very genre's nature, suspend disbelief. It's a requirement. This is done by more than interesting action sequences, which this work DOES have. It requires solid world-building combined with a believable lead character. There are other important factors to successful writing, but on these two key factors, the work falls short. Romulus Buckle is too perfect, with no flaws that accompany a great story. As to the good sequences, they just don't come together as a WHOLE work of exceptional world-building. Tolerable, but not worthy of an Audible credit. I keep these negative reviews short when I deliver them, because they should be short and to the point. It's my hope that Preston will step up his game in the future. 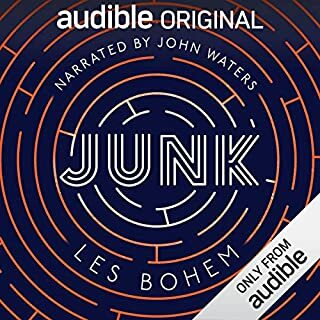 There are SO many other works that deserve your attention here at Audible, both fiction and non. Explore those instead. Romulus Buckle's life would be any adrenaline junky's dream except his adventures aren't about getting his kicks (that's a by-product). He is moved by loyalty, family and yes, a serious sense of adventure. Richard Ellis Preston Jr.'s second book in the Pneumatic Zeppelin Chronicles, Romulus Buckle & the Engines of War, continues the saga of Romulus through the challenges of facing off against the Founders, this time, with a little help from some new friends. 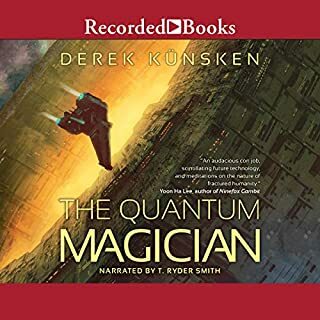 Luke Daniels did an admirable job narrating the audio-book (I went back and forth between my Kindle and the Audible versions). Mr. Daniel's characterizations are terrific; he's, in turns, big and booming, snooty or a weazened old-timer when he called upon. I hope he continues narrating the series. 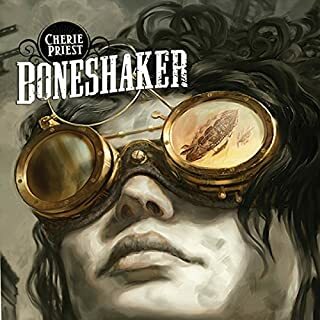 This is very probably the steampunkiest steampunk book I have ever read (or listened to) in my entire history of steampunk reading (of which there has actually been a decent amount). Mind you I knew that it was going to be steampunk AF, because read the title and then look at the cover, lol. This is the story of Romulus Buckle and his crew of his airship, the Pneumatic Zeppelin. He’s only 18 years old, and yet, he is the captain of a ragtag group of orphans and other survivors in this dystopian Los Angeles. He and several of his foster brothers and sisters, who are also the commanding officers of the zeppelin, are about to embark on a dangerous mission to rescue the leader of their clan and foster father, Balthazar Crankshaft, from the City of the Founders. This world is a dystopian version of our own. Many years ago, aliens came visiting and… the Earth ended up in endless winter after a war with them. Moreso, some parts of certain parts of it are covered in deadly yellow fog known as the Mustard. So, in and around the former city of Los Angeles, there are several ‘clans’ of people. The biggest clans in these parts are the Crankshafts, of which Romulus Buckle and his crew are part; the Alchemists, scientists and astronomers who live in Hollywood, in what I assume is the Griffith Observatory, and who build robots; the Imperials, who build airships; and the Founders, who live in Los Angeles – the titular City of the Founders. As I said, this might be the steampunkiest book I’ve ever read. However, that said, at times it almost felt as though it was trying too hard to be as steampunk as it possibly could, as just about every steampunk buzzword you can think of is included in here at some point, and nearly every character has the most ridiculous name and is so over the top with steam powered gadgets and tophats that it was a little comical, to be honest. Nonetheless, I will say that everything technical in this one sounded legit. The author either knows quite a bit about naval commands or how to fly zeppelins or did his research well. Romulus and his crew, despite pretty much nobody in it being much older than their mid-twenties for some reason (and it gave the book a real… maybe not YA but definitely more New Adult feel… but whatever we’ll roll with it) know all the nitty gritty of how their zeppelin works, and how to fly it. Everything that needed to sound technical did, and this was quite an adventure with plenty of exciting things happening. I’d say this one was Sky Captain and the World of Tomorrow meets Bioshock, meets Star Trek TNG, meets… Pirates of the Carribean. Something like a mix of all of those things dropped into post-apocalyptic Los Angeles. It’s not that this is a bad thing. Looking at that sentence… I mean that sounds awesome, right? And it was pretty damn entertaining, if I’m honest! Luke Daniels did a great job narrating this one. Characters all sounded different and had appropriate tones and accents. There was a couple foreign accents that all sounded excellently done. All told I’d give the narration a full 5/5 stars. I do believe that I will someday give the next book in the series a listen, because this one left the story open for more. What did you like best about Romulus Buckle & the City of the Founders? What did you like least? Was Romulus Buckle & the City of the Founders worth the listening time? Kind of silly but very fun. So this is steam punk, so if you don't like that stop reading. I don't mind steam punk so I thought it was fun. Action is the focus and there is plenty of it. The characters are kind of shallow but likeable, and I was rooting for the 'good guys' all the way through. The story is upbeat and hopeful, not grimdark, which is fine by me. I've hand enough grimdark for one lifetime. I haven't been able to get into audio books as much as reading a hardcover. I find alot of the audio books tend to make me tired. Granted they do have their merits during a long trip. But, in my opinion, not every book is meant to be expressed in audio media. That being said; Romulus Buckel blew my socks off and tweeked my ears for many hours of delightful entertainment. I am old enough to have caught the last gasps of radio broadcast of serial dramas and variety shows in the late 1950's. My mother used to read to my sister and I from GRIMM BROTHERS, LONGFELLOW and an old family bible. I learned to listen and enjoy these moments. I guess I, in some fashion, am trying to rekindle(pun not intended here...) those times. My efforts listening to alot of the new audio media has been a struggle. But WOW! 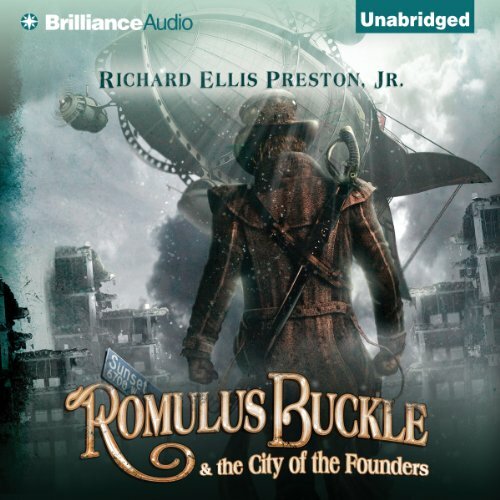 I would never expected being joyfully surprised by a "steampunk" audiobook with a name like "ROMULUS BUCKEL & the CITY of the FOUNDERS". This Luke Daniels interpretations of Preston's text is the most enjoyment I have had from any of the audiobooks I've purchased. It may be a bit corny at times but I like a good plate of corn once in awhile, especially if it should start popping. This story does exactly that. I don't think Mr. Daniels takes himself to serious and that makes this reading a delight, as well as, just fun to listen the different voices he projects for each unusual steampunk character with all the imaginative devices adorning their steampunk wardrobes. Got old relatively quickly. The story was pretty simple--meet characters, rescue father--but was amped up to 11, or so the author thought, with "steampunk" elements. Most of the names of characters were pretty silly, like a dice throw of a complicated Greek or Roman kind of first name, followed by some kind of gadgety last name (Polonius Brassballs, Romulus Buckle, Balthazar Crankshaft, etc.). The narration didn't help that much, which is where the cartoonish elements really came in. It really did remind me of a Saturday morning cartoon where old veterans always bellow in gravelly voices, women are always soft and demure, less experienced characters talk with cracked, uncertain voices, and the hero is always bold, joke-cracking, with a perfectly modulated radio announcer’s voice. The action sequences go on almost ad nauseum, as did the back and forth dialogue of the crew as the captain gave an order and the crew repeated it. To heighten the kind of teenager-y feel of the thing, well, everybody *is* a teenager except for “adults” who are old after they hit 30 and start talking with gruff voices. The chapters are rarely longer than 5 minutes and advance the story about one paragraph at a time. I guess I wanted better writing and a better plotline. Very light weight and disposable adventure. I read some of the reviews before picking the book. I have always been interested in steam punk and thought I would give this a try. I wasn't disappointed and am looking forward to book 2. Thanks to the author for his shared talent. I am not a steampunk fan I am more in to urban fantasy. But this was an excellent listen and I will continue with the series. A simple basic plot (rescue) but many additional sub plots were started. Characters are varied and have enough depth for an opening novel allowing expansion in later works. 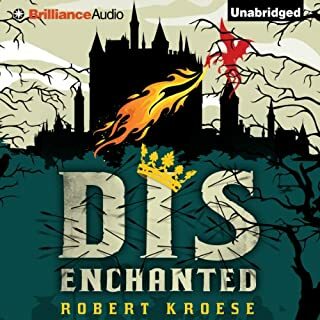 I have enjoyed the narrator's work previously and did so again but some of the voices are so similar to previous characters that for some reason I pictured a dog rather than a human during some parts. Overall, I'm voting with my feet and listening to the next one. It was hard to get past the idea that an 18 year old airship captain was a master swordsman, pistoleer, warrior, dashing hero and idol of his peers. I wasn't too keen on the voices the narrator used for some of the supporting cast either, some of them came across as rather simple and stupid. I think would make an adequate YA title, perhaps not suited to more mature audiences.